Thailand’s theme for the ASEAN Chairmanship in 2019 is “Advancing Partnership for Sustainability.” Throughout the year, Thailand and fellow ASEAN member states intend to strengthen ASEAN cooperation in diverse sectors under the political and security, economic, and socio-cultural pillars of the ASEAN Community. One of the issues that require urgent attention is the impact of the Fourth Industrial Revolution or “4IR” to enable ASEAN to catch up with, as well as make good use of global innovations to help sustain long-term development. The 4IR is a technological and digital revolution which affects us all round, from the way we live and interact with one another to the way we work. This can be seen in the increasing use of social media platforms worldwide, as the new communication technologies enable people across the globe to connect seamlessly with one another, to learn new trends, and to share information. The 4IR can therefore promote cross-cultural understanding and a more closely knit ASEAN Community. In addition, technological advancement in the age of 4IR has led to increasing access to information and the development of groundbreaking innovations and applications, including artificial intelligence (AI) and the Internet of Things. At present, the business community is already putting AI into practical use, such as the translation of multiple languages and factoring data analyses into investment decisions. Technological development has also contributed to long-term efficiency and productivity. It has reduced costs in transportation and communications, and enhanced the efficiency of global logistics systems and supply chains. As a result, the overall cost of investment in international trade has significantly reduced, while at the same time, opportunities in new markets are more open than before. ASEAN has high potential to become one of the world’s top five digital economies, given that its GDP has reached 2.8 trillion US dollars and it has an annual GDP growth of 5.3 percent since 2000. In addition, ASEAN’s digital market has expanded three-fold in the past three years and 7 percent of ASEAN’s GDP is derived from the digital economy. Currently, Singapore, Malaysia, Indonesia, and Thailand are the forefront nations in 4IR due to their growing middle class and a largely digital-literate population. These ASEAN countries also have an increasing number of people using the internet and a majority of SMEs that utilise digital tools in their business operations. However, there are always two sides of the coin. Despite the advantages cited above, 4IR also poses challenges for all the three pillars of the ASEAN Community. For example, the political security pillar is threatened by cybersecurity, privacy of information and misuse of information on the internet. The economic pillar has to contend with the widening gap in competitiveness between large companies and SMEs, since the latter is at a disadvantage in terms of funding for research and development (R&D) as well as for acquiring new technology. With regard to the socio-cultural pillar, 4IR raises huge concern over the possibility that robots will replace humans, particularly in the case of low-skilled labour in garment and shoe industries. Moreover, 4IR could lead to greater social inequality, arising from the growing social gap of the new digital tools. As such, 4IR impacts society in all dimensions and necessitates all stakeholders to work together towards an integrated approach in dealing with these challenges. An assessment report by the ASEAN Secretariat reveals that ASEAN member states have different levels of readiness for the 4IR. The ASEAN Secretariat has proposed ASEAN countries to coordinate with each other to promote joint development in all sectors and maintain the momentum in economic growth. Thailand has prepared for 4IR both at the national and regional levels during its ASEAN Chairmanship. At the national level, Thailand has initiated the Thailand 4.0 strategy to upgrade technological and economic competitiveness by promoting human resource development, digitalization in all sectors of the society and inclusive development. 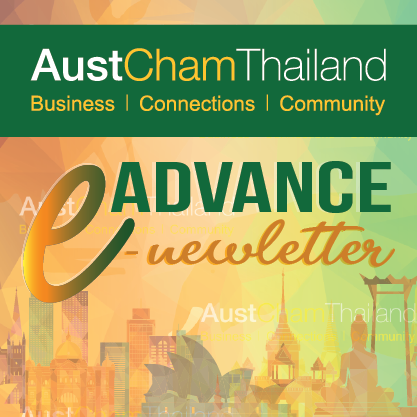 At the regional level, Thailand is pushing for an ASEAN vision to promote creativity, innovation, and connectivity. Five out of twelve deliverables in the economic pillar under Thailand’s ASEAN Chairmanship focus on 4IR issues. These include the ASEAN Digital Integration Framework Action Plan, the ASEAN Innovation Roadmap, Guidelines on Skilled Labour / Professional Services Development in Response to the Fourth Industrial Revolution, the ASEAN Declaration on Industrial Transformation to Industry 4.0, and the Digitalisation of ASEAN Micro-Enterprises or the use of digital technology to access international markets. Furthermore, Thailand will continue to promote ASEAN cooperation on ASEAN Smart Cities Network that was initiated under Singapore’s ASEAN Chairmanship. In January 2019, the Digital Government Development Agency (Public Organization) organized the “Digital Government Summit 2019” to showcase Thailand’s achievements and progress in providing digital services in various areas. The concept of the Summit was “3D,” Digital, Data and Design, with a view to highlight Thailand’s technological potential and preparations for efficient e-government services and platforms. Many agencies that provide digital services joined the event such as the Department of Provincial Administration, Ministry of Interior, the Department of Land Transport, Ministry of Transport, and the Revenue Department, Ministry of Finance. Thailand is ready to exchange experiences with ASEAN member states in the development of digital government services and digital infrastructure to promote a comprehensive and sustainable ASEAN approach in addressing issues related to the 4IR during Thailand’s ASEAN Chairmanship and beyond.